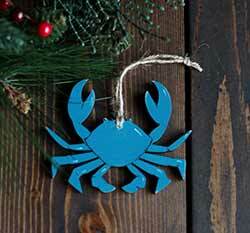 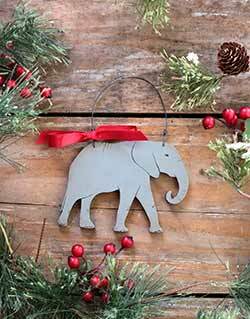 A year-round best-seller, these high quality ornaments are unique wedding gifts, baby shower gifts, to commemorate anniversaries, life events, or family trips. 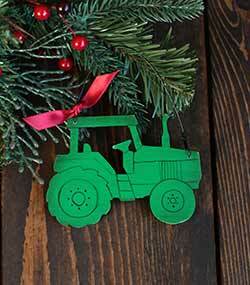 Start your tradition today, or add to your growing collection of holiday memories! 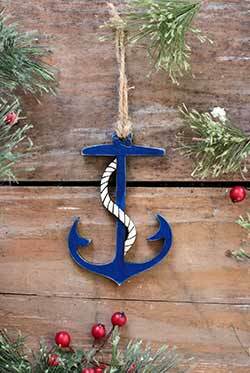 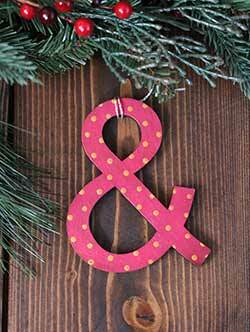 Tie this hand painted wooden ampersand symbol to a wedding gift, give as a bridal party gift, unique holiday ornament, favor tag - lots of possibilities! 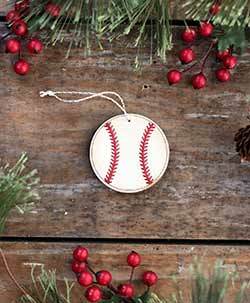 Perfect for baseball player, baseball lover, or as a team or coach gift, this hand painted red and ivory baseball ornament comes give boxed with free personalization! 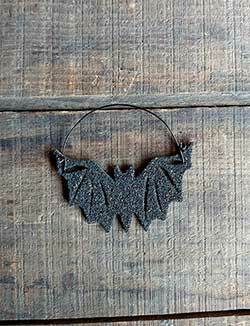 Add a vintage look to your spooky Halloween display with this black bat ornament! 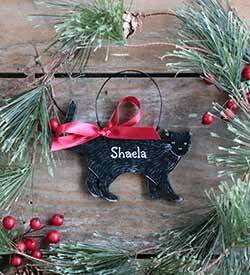 Made of 1/8 inch thick wood, painted black, and coated with a homemade blend of glitter for a one-of-a-kind, unique effect! 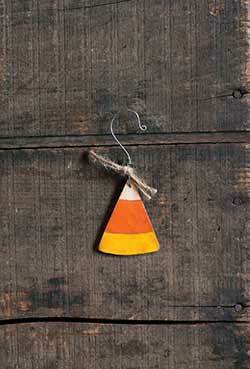 Accent your fall or halloween decor with this hand painted candy corn ornament! 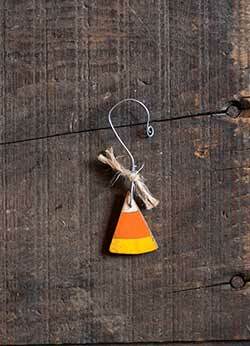 Accent your fall or halloween decor with this hand painted mini candy corn ornament! 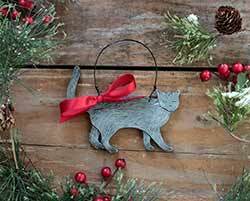 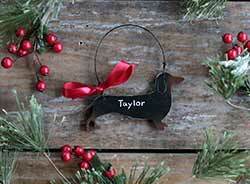 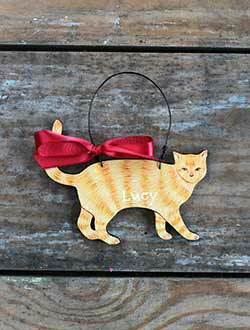 This sweet Christmas mouse ornament is perfect for personalizing for a special someone! 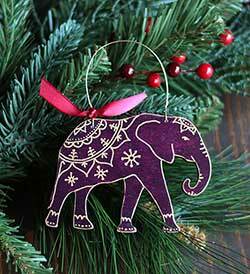 Hand-painted with attention to detail, in traditional holiday style. 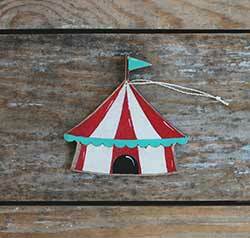 This ornament is hand painted in vintage circus style, a unique gift for the electic Christmas decorator, to commemorate a vacation or experience, or a fun stocking stuffer! 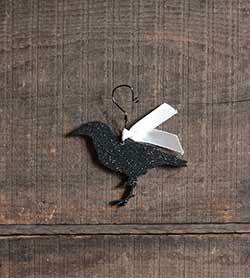 Accent your spooky Halloween display with this black glitter crow / raven ornament! 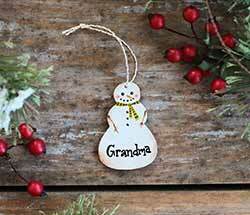 Personalize your holiday tree with this country snowman ornament, painted with your choice of family member - grandma, grandpa, nana, papa, mom, dad, aunt, uncle, daughter, son, cousin, niece, or nephew. 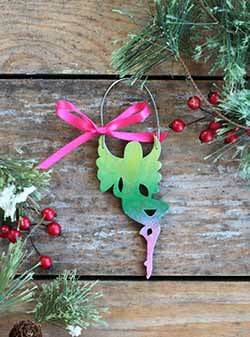 Perfect a fairy lover or for a fantasy tree, this Fairy Christmas Ornament comes with free personalization! 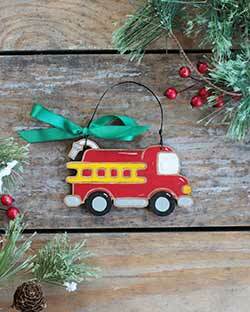 Great for a fire fighter or child that loves fire engines, this hand painted ornament is custom made to order, and comes boxed ready for gift giving! 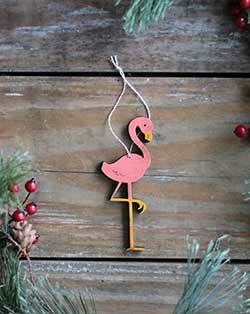 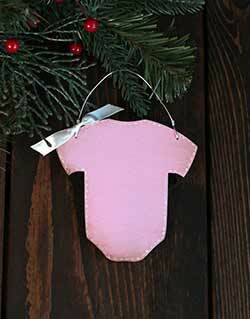 Express your love for tropical living with this quirky pink flamingo ornament! 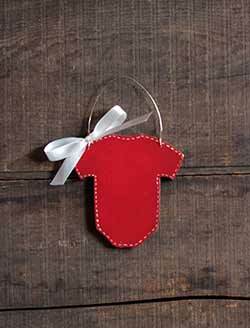 Custom made to order, it comes boxed ready for gift giving! 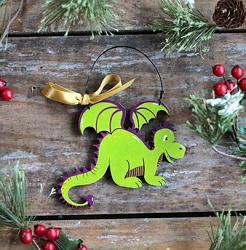 This darling,hand painted Dragon ornament is a unique gift for the fantasy lover, the perfect accent for an eclectic Christmas tree, or a fun stocking stuffer! 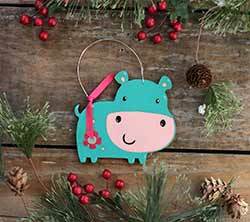 Great for children or frog lovers, this hand painted frog ornament makes the perfect personalized gift! 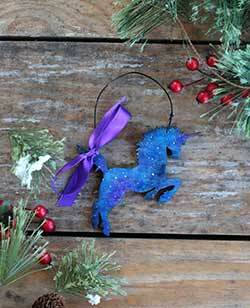 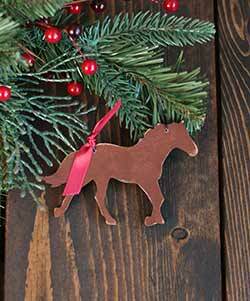 Perfect a unicorn or galaxy lover or for a fantasy themed tree, this leaping unicorn Christmas ornament comes with free personalization! 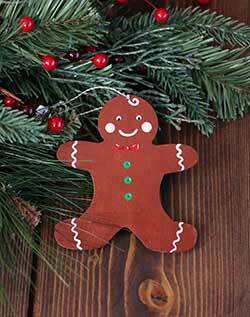 One of the sweetest traditional icons of the season, this gingerbread man cookie ornament comes with free personalization! 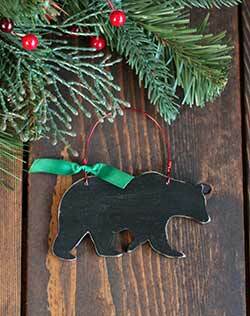 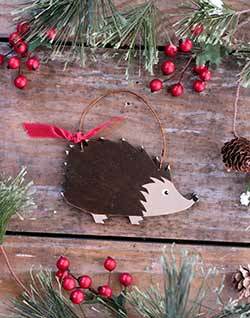 Deck the halls with this sweet hedgehog, perfect for a woodland tree or a children's ornament! 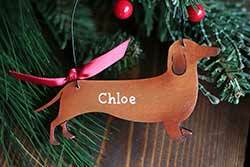 Custom made to order, it comes boxed ready for gift giving! 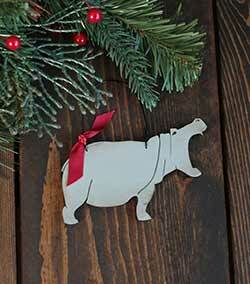 This darling Hippo ornament is a unique gift for a zoo animal or safari theme, the perfect accent for an eclectic Christmas tree, or a fun stocking stuffer! 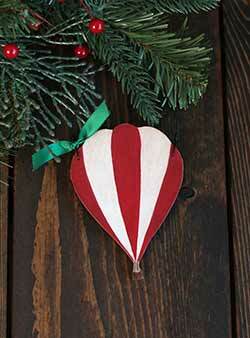 This hot air balloon is hand painted in vintage circus style, a unique gift for the electic Christmas decorator, to commemorate a vacation or experience, or a fun stocking stuffer!